This is the first post in the XML / BI Publisher tutorial series and will help get the ground work done before you start using this powerful reporting tool. By the time we are done with this series, you will be confidently developing all types of reports using XMLP. Today we will look at 4 things that would make you ready for the job. Let’s take them one by one. Like any other menu, access to the BI Publisher menu too is secured by permission lists. You can use the following Permission Lists / Roles to grant user access to this menu as required. This role uses the PL PTPT2600 to grant you full access to all BI Publisher components. If you are a developer, this would be the Role that’s apt for you. This role uses the PL PTPT2500 to grant you access that’s just right for creating XML reports with Query as the data source. This role would be apt for power users. The below table taken from PeopleBooks shows what level of access these Roles / PL provide. Though XML Publisher supports four types of templates ( PDF, RTF, eText and XSL), in these tutorials, we will mainly be working with RTF templates using Microsoft Word. You will have to install the BI Publisher Template Builder plugin to do this efficiently. This plugin is an extension to MS Word that can help you develop templates and preview them easily – all from within Word. The zip file (bip_desktop.zip) will be around 123MB. Once the download completes, you can unzip and install the plugin on you PC. After successfully installing this plugin you will have a BI Publisher menu that looks like the image below. The below video covers this topic. One of the winning features of BI publisher is that data extraction logic is separate from the presentation layer. Here the RTF template is the presentation layer and it can use all formatting features available in MS Word. So it pays off to be an expert in MS Word formatting – you can bring out good-looking reports! You will see in a subsequent post how tables can be used in formatting complex reports. Query is just one of the data sources supported by XML Publisher but this is the only one available (on the Report Definition) to power users. Also, it’s the easiest way to generate an XML Publisher report. 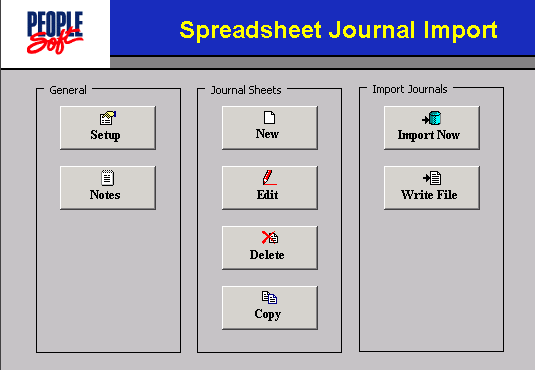 To start with, we will be using PeopleSoft Query as a data source for the reports. So, before we get going, it would be good to have an understanding of how to create queries in PeopleSoft. If you aren’t aware of creating queries, don’t worry, we will be using only simple ones here. Head over to Create your first XML / BI Publisher Report using PS Query. « PeopleSoft Journal Import Error – User-defined type not defined » You Don’t Have to Write PeopleCode to Create an XML / BI Publisher Report using PS Query!